Eventually has finally come for the ceiling, which got its cover five months after I moved in, on a very cold November day. Hence why I’m bundled up in the picture. Big thanks to my best friend for doing this with me; both of our arms were aching by the end from hours of over-the-head work. 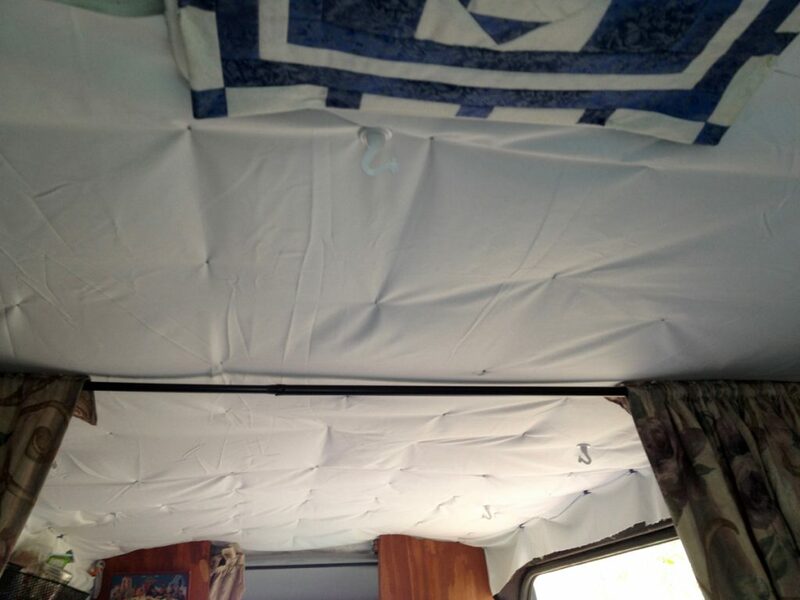 Here is my industrial looking ceiling before being covered, with a quilt block covering the fan vent for a little protection from drafts. It is sagging so much because it was made to go on the fan’s flange, which hasn’t been put up yet, and will be installed today. 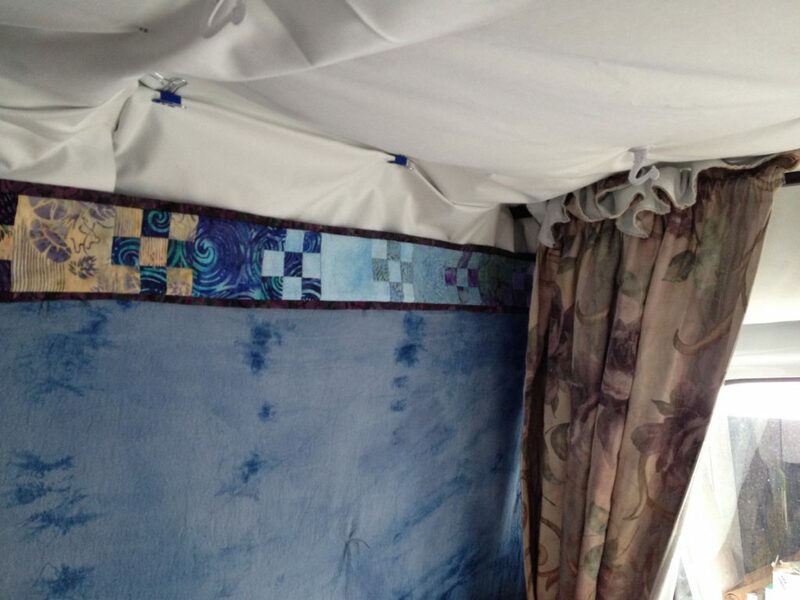 I am using yards and yards of heavy duty blackout fabric, mostly because I had it already, though I like the idea a lot because the white ceiling will make the van look taller and more spacious. 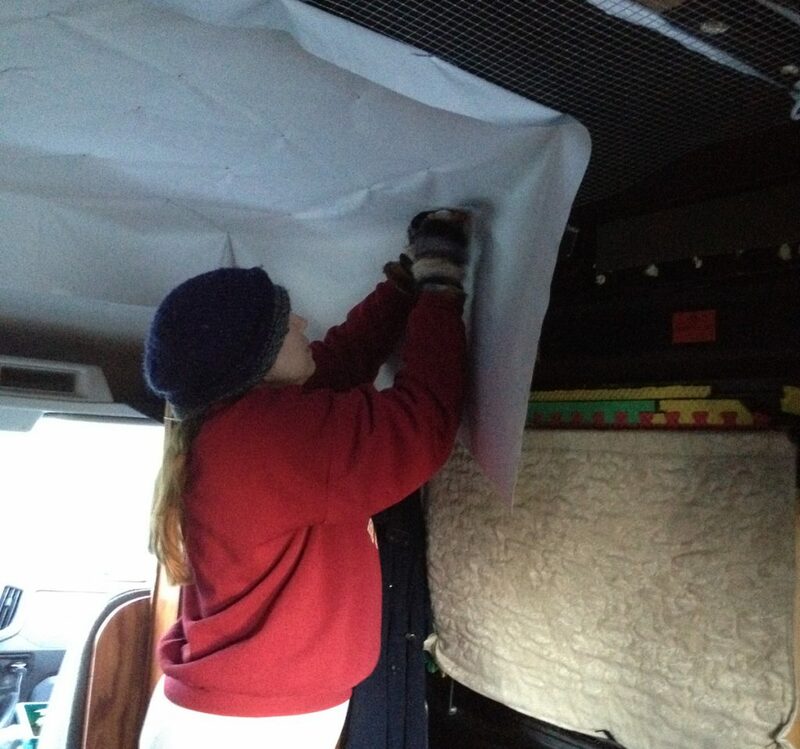 It is tied every few inches to the hardware cloth that makes up the ceiling framework. My new, non-industrial looking ceiling, with the vent cover that now fits over the vent! A couple months later, the edges got finished off. 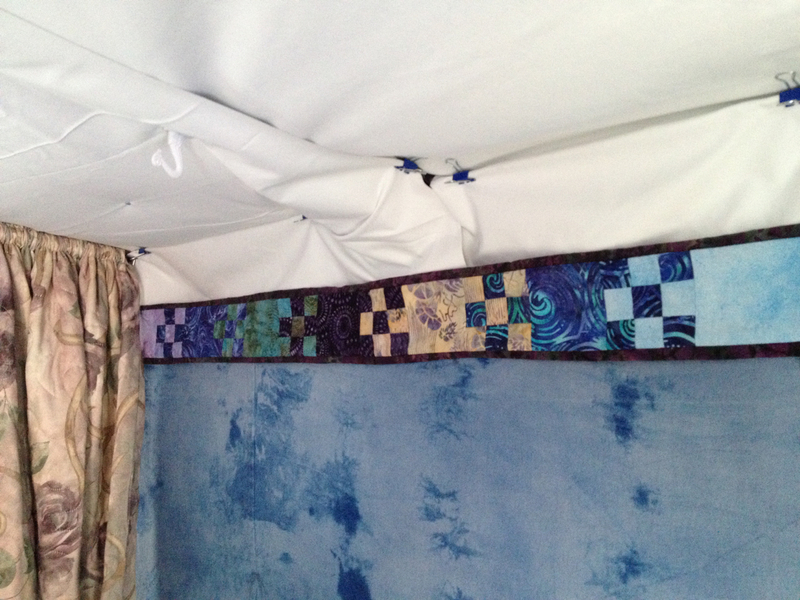 My mom made me a 4″ by 130″ long quilt for each side of the van to do the same job that moulding does in houses: hide the gaps and make edges look nice. There are still a few small projects around the van to finish off, but by now I’ve done the majority of the ones on my list. The only largish project left is covering the sliding door with my wall canvas material, which I will do in the spring when it is warmer. Everything is looking really nice now and I love it! So homey and inviting. 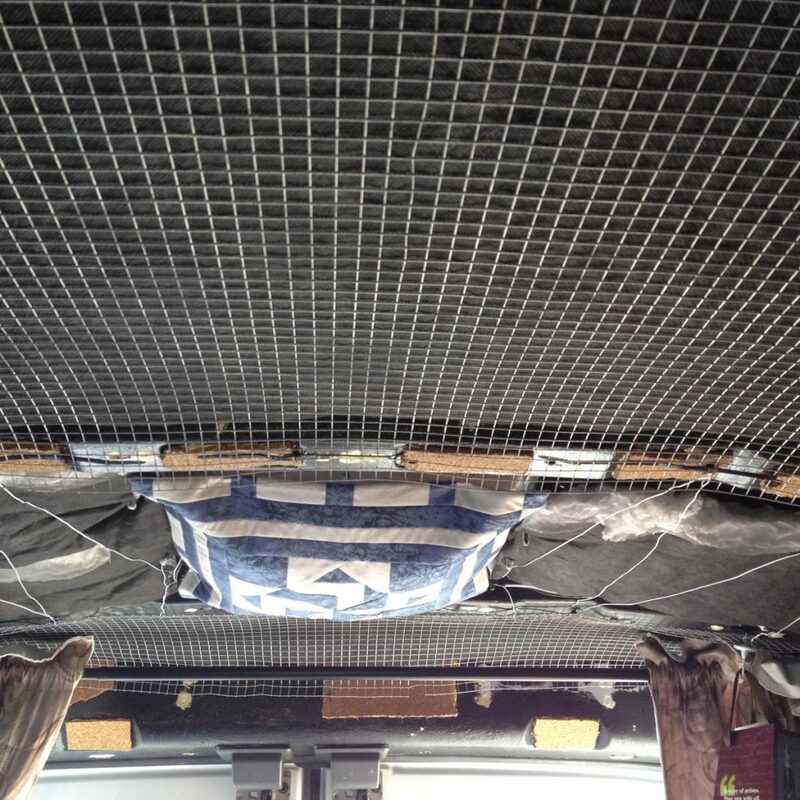 Take a short tour of the van here.